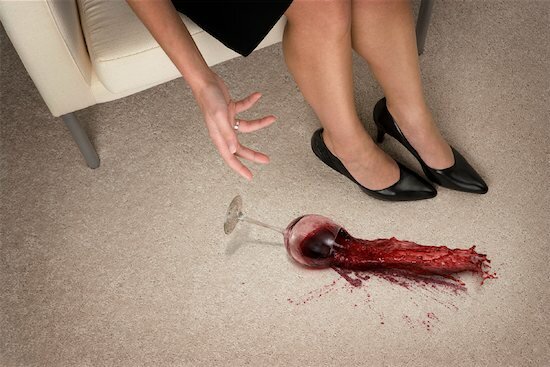 Blot the stain as much as possible—DO NOT RUB. Cold Water. Pour cold water onto stain to dilute. Continue blotting to absorb as much wine as you can. Mix paste. Make a paste of one part baking soda to three parts water. Mix well and apply a generous amount to the stain. Leave the past to dry. Once the paste is dry, vacuum it up. If residue is left behind, apply more water and vacuum again. Voilà!